Six artists are on the shortlist for the first Sigg Prize for contemporary Chinese art, it was announced today by M+ museum at Art Basel in Hong Kong. They are Hu Xiaoyuan and Liang Shuo, both based in Beijing, New York-based Lin Yilin, London-based Shen Xin, Shanghai-based Tao Hui and Samson Young, who lives and works in Hong Kong. The nominees will show their recent works at the M+ Pavilion this December, in an exhibition organised by Pi Li, the museum’s Sigg senior curator, visual art. In January, the prize’s high-profile jury—Maria Balshaw, the director of Tate in London; Bernard Blistène, the director of the Centre Pompidou in Paris; Gong Yan, the director of Shanghai’s Power Station of Art; Suhanya Raffel, the executive director of M+; the Taipei-based curator Lai Hsiangling; and the artist Xu Bing—will announce the winner of a cash award of HK$500,000 ($64,000). The shortlisted artists will each receive HK$100,000 ($13,000). 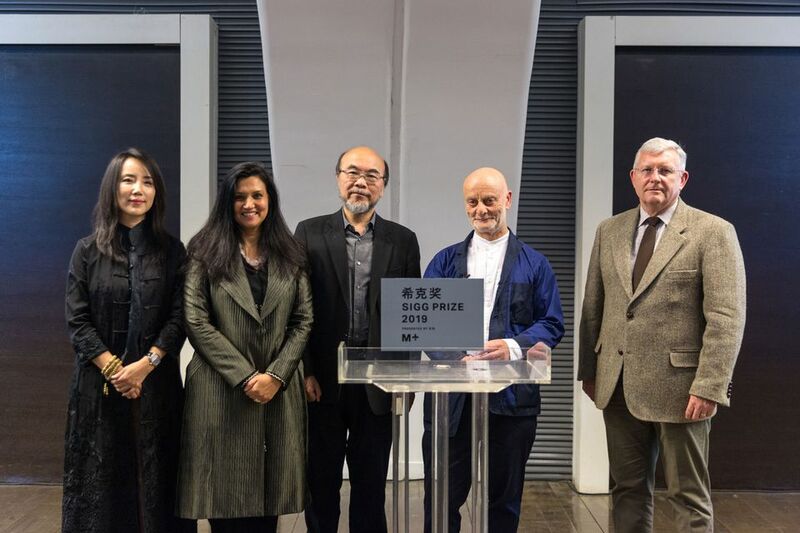 The biennial prize, a collaboration between M+ and the Swiss collector Uli Sigg, was created to acknowledge “outstanding artistic practice” in the Greater China region. It grew out of the CCAA (Contemporary Chinese Art Award) that Sigg established in Beijing in 1997. “I set it up to broaden the discourse on contemporary Chinese art, which was non-existent at the time,” he says. “I wanted the gatekeepers of Western art to look at China.” Prominent winners of the award include Ai Weiwei, Zhang Peili and Xu Bing. For Sigg, moving the prize to Hong Kong means taking it “to the next level”. M+ has more resources and is more active across greater China, he says, adding that censorship issues sometimes made it “hard to guarantee an exhibition [in Beijing]; you never knew if you could keep your promise”. Sigg made a landmark donation of 1,463 contemporary Chinese works to M+ in 2012. Looking ahead to the museum’s planned opening in 2020, he says that while Hongkongers are “fairly tolerant”, they have never been exposed to such a large exhibition of contemporary art before. “The ground always has to be tested,” he says. M+ is due to organise the first Sigg Critic Prize in 2020, following on from the CCAA Art Critic Award launched by the collector in 2007.